The Easter season is full of beauty and significance, but bringing our family's focus back to the Savior on this day can sometimes be difficult. To make it a little easier, check out these simple and meaningful Easter basket gifts your kids will love, but that will also remind them of the true meaning of Easter. The Book of Mormon, Journal Editions can help with both your daily study and your journaling efforts. All the text of the Book of Mormon—as well as large, lined margins—will give you a large canvas to express thoughts, document insights, enhancing daily study and creating a record that will endure. From the iconic spires of the Salt Lake Temple to the Aztec and Maya-inspired motifs of the Mexico City Mexico Temple, inspiration can be found in the design of each latter-day temple. With more than 50 individual temples represented, each page brings to life the beauty and serenity of the house of the Lord. 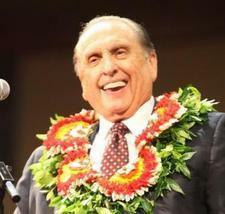 "In this piece, I've tried to imagine how a child would act upon meeting the Master for the first time. Without reservation or inhibition, I think he would simply want to play with Him. He would be at complete ease, allowing his pure little heart to soak in the love and laughter of His pure, infinite heart. 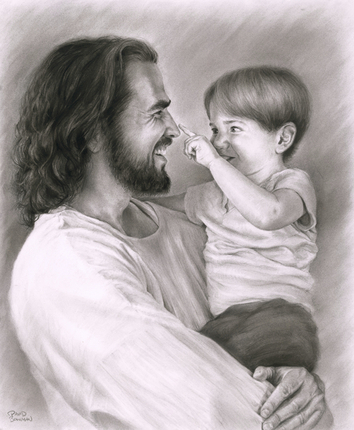 It’s no wonder Christ delights in these little ones and sets them up to be our examples.” -David Bowman, the artist of this piece. Brad Wilcox's The Continuous Atonement is a landmark work that helps to clarify what the Atonement is—and what it isn't. This teen adaptation will help teenagers better understand and apply the Atonement in their lives and help them teach the nuances of the Atonement to others, whether on a mission, at home, or with friends. City of Enoch use their signature three-part harmonies and catchy melodies to present a brilliant concept album: six peaceful and contemplative songs (the "Lamb" half of the album), and six rousing, exciting, and motivating songs (the "Lion" half of the album). These two sides of the album mirror two sides of the gospel: it provides deeply personal inner peace and spiritual strength, as well as excitement and motivation to rise to the occasion and help others come to Zion. Introduce your little ones to the many miracles Jesus performed during His mortal ministry. Follow along as the new star appears at Jesus' miraculous birth and as He feeds 5,000 people with only five loaves of bread and two fishes. With simple, engaging text and colorful artwork, Miracles of Jesus is the perfect book for young children to develop a testimony of the Savior as they read it time and time again, by themselves or together with your family. The Book of Mormon, Children's Journal Edition can help with both your daily study and your journaling efforts. This edition features extra-wide unlined margins for easy journaling, drawing, and note-taking as well as specially-designed, colorful stickers to help mark important verses and stories. He Is Risen is a unique sculpture that provides a visual reminder of the assurance we have through Jesus Christ that this life is not the end. It is a meaningful gift and a beautiful addition to any home. 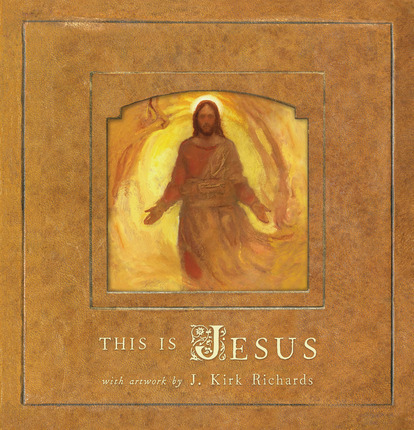 The life of the Savior is portrayed in stunning fine art pieces by award-winning artist J. Kirk Richards. These striking new images were created by the artist exclusively for this book. Accompanied by a harmonized account of the Savior's ministry, Atonement, and Resurrection, these exquisite paintings reflect a deep reverence for Christ's mission and sacrifice. Each page is beautifully designed to complement the unique style of the artist. Far more than a simple chronological account, this volume inspires thoughtful study, emotional connection, and personal revelation. 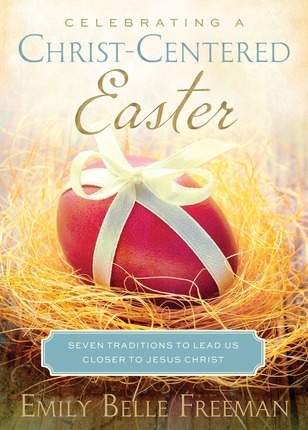 Author Stephen R. Christiansen’s inspiring work invites readers to explore and understand the events of the final week of Jesus Christ’s mortal ministry in vivid detail, with discussion of events ranging from the Last Supper to Christ’s Atonement to His Crucifixion.